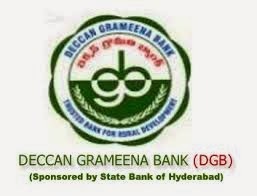 Deccan Grameena Bank (DGB) sponsored by State Bank of Hyderabad (SBH). DGB has issued notification for recruitment of Officer in Middle Management Grade (Scale III), Officer in Middle Management Grade (Scale II), Officer in Junior Management (Scale I) Cadre and Office Assistant (Multipurpose). Age: Candidates age limit should be between 21 to 40 years for Officer Scale III, 21 to 32 years for Officer Scale II, 18-28 years for Officer Scale I & Office Asst Posts. Age limit should be reckoned as on 01-07-2013. Age relaxation will be applicable as per the rules. How to Apply: Eligible candidates can apply online through Bank’s website www.dgbhyd.com between 07-01-2014 and 22-01-2014. After submission of online application candidates need to take print out of online application and retain it for further assistance.